Welland Toyota | Blog | The Latest News At Welland Toyota! The Latest News At Welland Toyota! Welland Toyota is proud to be a Service-Learning Community Partner with Brock University Goodman School of Business. This program connects students with businesses during course study which allows business students to gain practical experience while applying the skills and knowledge from their course content. 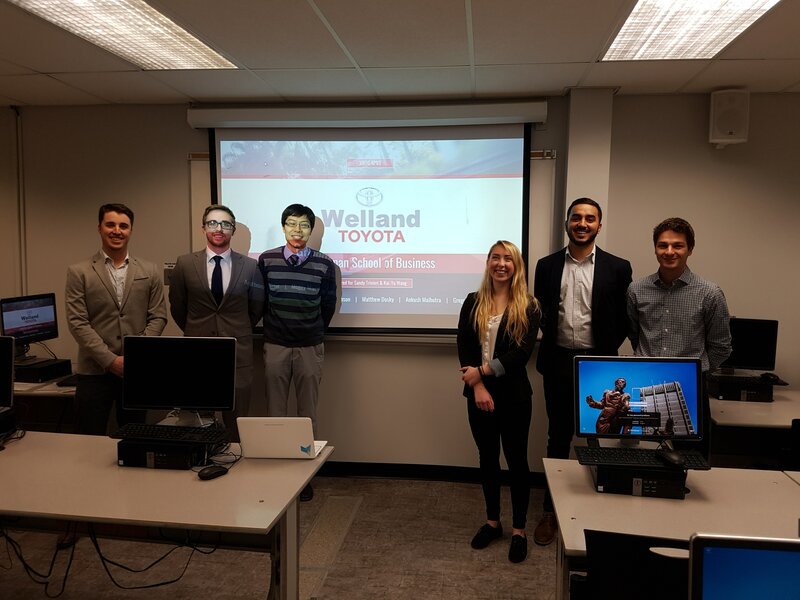 Congratulations 4th-year marketing students who presented Welland Toyota as their business research project. Below (from left to right): Gregor Sayliss, Anthony Foster, Professor Kai-Yu Wang, Meggy Martin-Johnson, Ankush Malhotra, and Matthew Dosky. 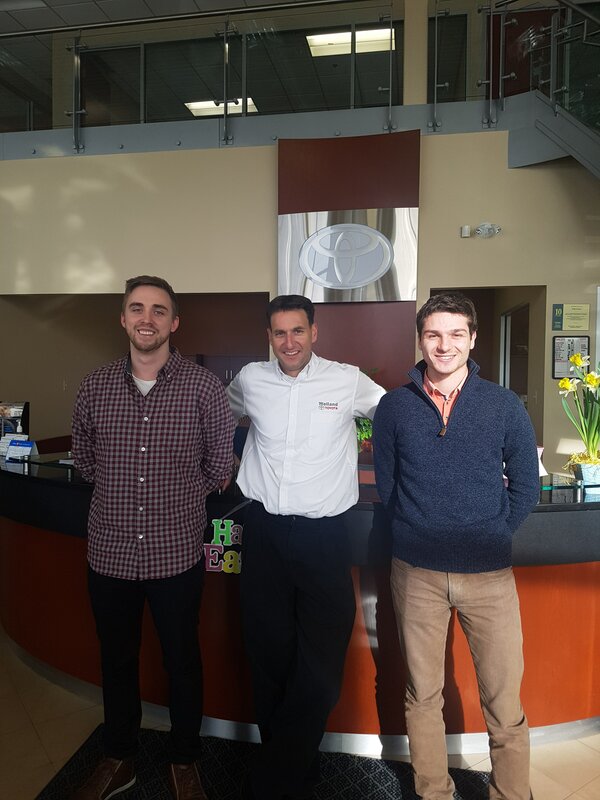 Below: Students Anthony Foster and Matthew Dosky with Pre-owned Sales Manager Drew Etherington during a visit to Welland Toyota.